The funds were stolen in five years from 2008 to 2013 in tranches of N2.7billion and N14.374billion respectively. While the N2.7billion was converted to personal use through the connivance of banks and family members, N14.374billion was shared by Maina and those in the chain of pension management in different Ministries, Departments and Agencies (MDAs). VI. Association of Federal Public Service Retirees (AFPSR) ……..N253, 390,300. M.K. Ahmed, Assistant Director, Variation. 16. Elder Actor Zal, former President and Secretary General of the Nigerian Union of Pensioners. About N17billion pension cash has been traced to the dismissed chairman of the Presidential Task Force on Pension Reforms Task Team, Mr. Abdulrasheed Abdullahi Maina, with a long list of highly-placed beneficiaries. The said cash was diverted by Maina from the N24billion budgeted by the Federal Government for payment of pension liabilities through the Presidential Pension Reforms Task Team headed by Maina. Maina and his cohorts dipped their hands into the till under the guise of phantom biometric verification. Those implicated in the pension funds bazaar in the Pension Task Force Payment Vouchers Include include a former Chairman of the Economic and Financial Crimes Commission (EFCC), A former Acting Chairman of ICPC, a former Inspector-General of Police, two former Heads of Service, Permanent Secretary (State House) and top directors in the civil service, 18 slush companies, some operatives of the EFCC and the National Intelligence Agency (NIA). Other beneficiaries included some officials of the Independent Corrupt Practices and Other Related Offences Commission (ICPC), bankers, Bureau de Change owners, family members, top officers in the Budget Office and the Office of the Accountant-General of the Federation (OAGF). The EFCC has so far filed 12 cases against 19 of those implicated, including Maina; a former Head of the Civil Service of the Federation, Mr. Steve Oronsaye; Osarenkhoe Afe; Fredrick Hamilton Global Services Limited and others. 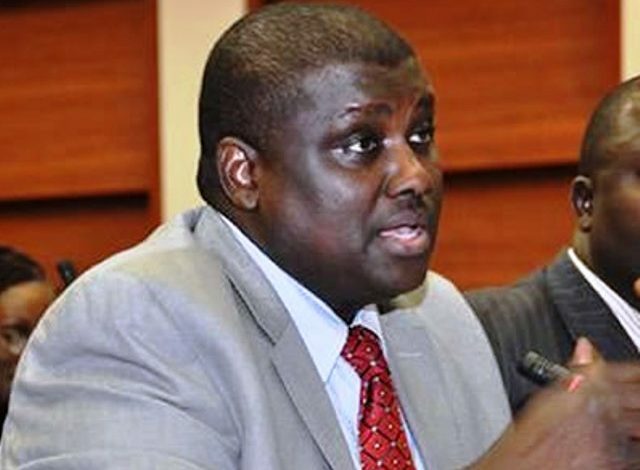 The list of the bigwigs who allegedly benefited from Maina’s benevolence was contained in a report submitted to the Attorney-General of the Federation by the EFCC and the PRTT Payment vouchers for the trial of Maina by the Office of the Director of Public Prosecution (DPP). The report titled CR: 3000/EFCC/ABJ/FAFI/VOL.1/ 238 was dated August 1, 2016 and signed by the Acting Chairman of the anti-graft commission, Mr. Ibrahim Magu. According to the document, Maina perpetrated the fraud through the use of the Collective Allowance System; compilation of ghost pensioners; fictitious contracts at inflated prices to both registered and non-registered companies; and fake pension verification trips. The breakdown of the stolen N14, 374,236,846.09 cash before the pension fraud was as follows: (I) Fictitious Contracts (N 5,761,150,608.44); (II) ghost pensioners (N829, 902, 260.40) ;( III) Collective Allowance (N1, 365,821,942.91) (IV) Payments to States Pension Boards& Others (N4, 192,825,310.99); (V) National Union of Pensioners (N 2,290,593,322.35) and VI. Association of Federal Public Service Retirees (AFPSR) N253, 390,300. EFCC said: “The use of Collective allowance: Under this fraudulent tactic, which became very handy under Maina and the OHCSF, the Director would approve payment of purported staff of the office to one single individual. After the payment is made, the person whose account was used will withdraw 90% and hand over cash to the Director or whoever was responsible for the payment. Some of the highly-placed public officers were also allegedly allocated estacodes for biometric verification trips without going anywhere. Some of the fake trips covered foreign shuttles to the United States and the United Kingdom among others. The PRTT vouchers confirmed payment of another sum of N40.6 million to some top officials for a shuttle to Atlanta in the United States to screen Nigerian pensioners. o Two operatives of the EFCC got N1,482,960 and N2,638,000 respectively. o A staff of the NIA (N 2,638,000). The document showed a breakdown of how pension funds were shared to finance pension verification teams to ‘South Africa, ‘Ghana’, and the 36 states’ of the federation, ‘zonal levels’ and others to siphon different sums of public funds into their banks accounts in the name of biometric verification. Out of the N18.4million released to Maina for a trip to South Africa, the Director -General of Budget was allocated N3,056,000 . The per diem for the trip to Ghana cost N9.1 million out of which a former Director of Defence Intelligence received N1,388,000 through his First Bank account. Two female staff of EFCC got N1,275,000 each as part of the national cake. The report gave the details of how Maina allegedly collaborated with former Head of the Civil Service of the Federation, Mr. Steve Oronsaye, and two others in N2billion pension funds allegedly mismanaged for biometric contracts. The N2billion was part of the looted N17billion cash. The report added: “Mr. Oronsaye and Maina engaged the services of the following individuals to assist them in looting pension funds. o Osarenkhoe Afe: (charged to court together with Mr. Maina & Oronsaye): He is an IT consultant who introduced Innovative Solutions to the OHCSF for biometric enrolment project. He stated that, Mr. Steven Oronsaye [former Head of Service) asked him to join the Pension Reform Committee headed by Mr. Abudulrasheed Maina. o Robert Ikazoboh: (Prosecution witness) He is the CEO of Innovative Solutions & Projects Ltd – a company invited by OHCSF to offer services regarding biometric enrolment exercise. He stated that he was brought in to the project by Osa Afe. He also stated that Mr. Afe verbally instructed him to work with 2 other companies namely Uptrach and Frederick Hamilton and further instructed him as to the amount to be paid to the companies whenever he received payments. o Ahmed Mazangari: (Already charged to court): He is the owner of Xangees Technologies Ltd, an information technology consultancy firm and a friend of Maina’s brother, Khalid Biu. He was ‘engaged’ by the OHCSF through Maina based on ‘word of mouth’. He was tasked with the job of computerizing the pension payroll but in the process ironically ended up inserting his own 11 fake pensioners and was used by Maina to receive N153 million for non-existing biometric contract which was withdrawn and handed over to Maina in cash after converting same to dollars through his brother, Khalid. Ahmed, his mother and company are presently standing trial. He stole N230 million as ghost pensioners’ payment from the OHCSF (including the biometric contract). “During the course of our investigation, the following facts emerged: That Mr. Osarenkhoe Afe (Osa Afe), the owner of Fredrick Hamilton Global Ltd introduced Innovative Solutions to the OHCSF where they were awarded the contract of biometric data capture. “That the initial contract sum was N63 million as indicated in the award letter which was paid to Innovative Solution. However, Innovative Solution requested for a contract extension of the sum of N136 million which brings the total contract sum to N199 million (both initial and additional amount). “That from the analysis of Innovative Solution’s bank statement, it was discovered that the total sum of N224.85million was fraudulently paid to them showing an excess payment of 25million against N199 million. Mr. Osa Afe confessed that, the contract sum was inflated at the instance of Mr. Abdulrasheed Maina and the inflated amount delivered to him. “That Robert Ikazoboh was discovered to have transferred the total sum of N166.5million from his company Innovative Solution’s account to Frederick Hamilton Ltd, a company owned by Osarenkhoe Afe. “A transfer of N35million was discovered from Innovative Solution to Uptrach Communication Ltd after which Robert Ikazoboh confirmed the payment as amount paid to the company that actually executed the contract of the biometric exercise. “That Osarenkhoe Afe was also discovered to have been paid the sum of N l19.4 million as biometric enrolment exercise through his company Fredrick Hamilton. Investigation revealed that the company has no contract award letter from OHCSF nor did it carry out any contract. “That including the amount remitted to Fredrick Hamilton from Innovative Solution, Fredrick Hamilton Ltd was discovered to have been fraudulently credited with the total sum of N 289.05 million out of which Mr. Osarehkhoe Afe confessed to have remitted over N250 million to Mr. Abdulrasheed Maina. Mr. Osa Afe admitted to have benefited N35million only and promised to refund same. “Mr. Osa Afe confessed that, he issued blank cheques from his Skye Bank Account no. 1341770007353 to Mr. Maina which he used for making the withdrawals and sometimes he goes with Maina to Oceanic Bank to make the withdrawals and hand them over to him instantly. This has been confirmed by Oceanic Bank Fredrick Hamilton Ltd account officer. “That one Salami Kareem Adesokan a storekeeper attached to the PRTT confessed that the total sum of N147,765,400.00 fraudulently paid through various banks from OHCSF to three different companies namely Fatidek Ventures, Jolance and Oblando Nigeria Ltd for fictitious Biometric contract were collected cash by him and delivered same to Mr. Maina through one Ann Igwe (Maina’s confidential secretary). The report gave the details of how Maina had used some firms, individuals and many accounts to siphon pension funds. “That analysis of the above listed accounts revealed a total turnover of more than N2.7 billion. It is important to note that 95% of deposits into the fraudulent accounts were cash deposits made by bankers in their own names and other fictitious names. “Investigation revealed that Mr. Maina fraudulently opened and fictitiously operated all the accounts with the active connivance of bank staff namely: Danjuma Zubairu, Toyin Meseke (Account Officer to some of the accounts investigated), Khalid Ali Biu (Maina’s relation) and Abubakar Gombe (Account officer of one of the accounts investigated) in Kaduna Branch. “Investigation revealed that Danjuma Zubairu (Group Head of Private Banking) mostly approved those transactions via telephone and email instructions from Maina. “That Toyin Meseke bought the sum of ($200,000) equivalent of N33,800,000 from one Bashir Mohammed Taura, a Bureau de Change operator, and instructed him to facilitate the delivery of same money to Abdulrasheed Maina in Dubai, U.A.E on 05/05/2014. “That Toyin Meseke also facilitated the part liquidation of Maina’s fixed deposit of N100,850,000 and subsequent transfer to Neural Wax BDC on 07/07/2015 for buying U.S. dollars on behalf Abdulrasheed Maina and delivered same to one Mairo Bashir (Maina’s relation) of UBA Maitama Branch Abuja. “That the total sum N26.5 million was paid to the Federal Housing Authority from Kongolo Dynamics Ltd and a balance of N4.4 Million was paid to Alhaji Tijjani Yusuf between 20/10/08 & 19/11/08 for the purpose of buying a property located at No.12, 11th Road Kado Estate Abuja owned by Abdulrasheed Maina. “That four bank drafts totaling N30 million were issued same day (15/03/2010) in favour of one Titus Adeboye from Kongolo Dynamics Ltd account. Mr. Adeboye confirmed that the fund traced to him was for the purpose of acquiring a property for Mr. Maina (block of shops) located at C2 Ibrahim Taiwo Road, Kaduna. “That Mr. Abdulrasheed Maina bought another property located at No. l0 Amisi Musa Street, Jabi Abuja FCT from one Alhaji Adamu Modibbo and paid the sum of $2m cash, equivalent of N340 million in June 2012. “Finally investigation has established that all the accounts are linked to Mr. Maina either through his phone number, email address or transactions between the accounts and testimonies of the account officers/ bankers involved in this complex money laundering scheme. “A total number of eight GSM lines have been traced by the EFCC as the ones used by Maina to give instructions to banks, cronies and associates to launder the huge amount under investigation. The numbers were listed by the anti-graft agency as 08098887733, 08037872471, 08142277550, 07037900714, 08106842813, 08091501002, +971552717234 and +971526294678. “Furthermore investigation also confirmed that the source of funds in the accounts could only be from those fictitious contracts and other bogus payments from government, particularly OHCSF Pension Department and CIPPO where Maina superintended at various times between 2008 and 2013, as no known existing and viable business was identified as source of funds into the account and the account officers confirmed same. As at press time, those standing trial for the pension fraud in the Office of the Head of the Civil Service of the Federation are Oronsaye; Maina; the Director of Finance and Account, Dr. Sani Shuaibu Teidi, Mrs. Phina Ukamaka Chidi, Deputy Director, Aliyu Bello, Special Assistant to Director of Administration, Olanipekun Emmanuel, Head of Final Account, Abdul Mohammed, Assistant Cash Pay Officer, Garbo Tahir, Cashier and M.K. Ahmed, Assistant Director, Variation.